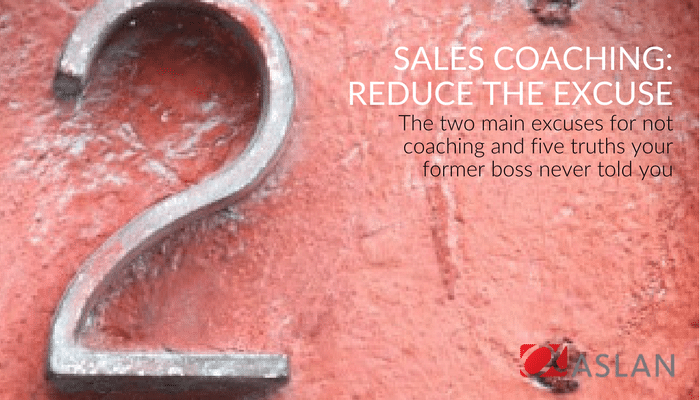 All the experts and data say the same thing about sales coaching – it works. Initially, I thought I would start this article off with a series of data-driven statistics to substantiate the case I’m about to make, but if you are in sales, you already know it is true. Sales organizations that effectively coach their sales teams yield substantially better results and have better employee satisfaction rates. Period. Before we get out the tar and feathers for these treasured frontline lieutenants of our sales organizations, let’s answer one more question. Is an excuse still an excuse if it’s shrouded with the truth? Today’s businesses run on complexity, and some visibility and accountability are required to keep these machines on track and to keep shareholders confident. The trick is to eliminate the waste for our managers. If we are going to make time for effective coaching, most sales organizations could benefit from an old-fashioned lean event and start removing some waste from our sales processes. Once we get past this first hurdle, we are faced with an even bigger obstacle. The second excuse for most managers is that they really don’t know how to effectively coach. They probably were good at what they did as a sales person and got promoted into leadership based on individual contribution performance. No one ever told them (or showed them) what real coaching felt like unless they were to go back to their adolescence and draw from the last competitive sport they played. Most sales leaders have simply begged, borrowed, and botched their leadership philosophies, and it’s simply not enough to impart the Frank Sinatra methodology of sales coaching. You can’t just tell them “I did it my way, and you can too.” It’s not really their fault, but it is the truth. So to put it in an “if/then” statement, if coaching makes a difference, if they don’t have time to coach, and if they don’t know how to coach, then what? 1. You don’t have to coach everyone. Coaching isn’t for everyone. That doesn’t mean it isn’t for every leader, but rather it’s not for every rep. It’s like a rewards program for reps, so let them determine if they sign up for the benefits. There should be two variables to evaluate when assessing whom to coach — desire and results. Remember, most of us don’t have time to coach, and spending time and effort coaching everyone equally won’t make more time. So only invest your coaching time in reps who demonstrate the drive to do something with your effort. What about those who don’t want coaching? This is where you maximize your time. We do this by simply clarifying the performance expectations for everyone, and let them know that as long as they achieve the results, everyone will be happy. If they don’t meet expectations, you can offer them a great deal of coaching, but if they don’t exhibit the desire to get better and get help, there will be an issue. Would you ever invest in a stock that you knew wouldn’t ever yield a return? It’s the same with sales coaching. This helps you save time by only coaching those that will do something with it and optimize your payback. And you can still meet those corporate expectations and reporting deadlines. 2. It’s all about them. Coaching should always be implemented with the sole purpose of helping reps achieve the results they are seeking. Real results happen when people engage one to one. Because of this, our coaching focus won’t be the same for every sales rep. We have to know and understand the individual to create real change. This means understanding both the personal dreams and professional ambitions. Ultimately, they are all interwoven. Coaching effectiveness diminishes when it serves the coach more than the player. 3. It doesn’t have to hurt. Somewhere along the way, we converted the focus of coaching from helping to hurting. Most reps fear coaching today and equate it with some form of corporate punishment, and most managers feel like the process is the same. Life is hard enough. The last thing anyone needs is a weekly 30-minute beating to help them plow through their week. Coaching should be a reward and investment in continuous improvement, not something that stings and leaves whelps and bruises. The key is always finding the good in every session, make the development about what’s important to the rep, and keep the assessment focused on one competency at a time. 4. The focus must be on the result. There are a handful of basic competencies required to be successful in selling, and the beauty of it all is that the results can tell you if you are competent or not (not just the opinion of a manager). Here’s a shocker for most managers. You don’t have to fix what is already working. Focus your time on helping develop a competency that isn’t working. Think about this. If you play basketball and you make 97 percent of your free throws while standing on one leg, do you need help with your form? Who cares? Move on to something that isn’t working. It’s the same with sales. 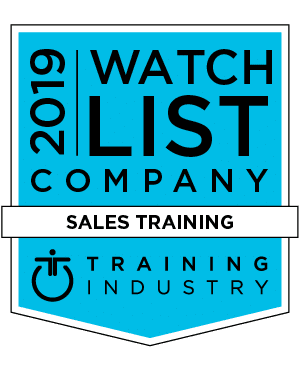 If a rep is great at getting decision makers to engage in the sales process, gaining knowledge and insight from clients, but struggles to build any value for them, this is a great place to focus your coaching. It’s simple if you understand the competencies of the rep’s role, and you can learn to focus on the rep’s results. 5. Everybody’s got a coaching process. If you have PowerPoint, you can create your own four- to six-step process for just about anything, and coaching is no exception. The problem is that a process doesn’t fix anything. The key is what happens before and after that process. If you can’t effectively diagnose each of the sales roles you are responsible for as a manager, it is similar to asking your dentist to coach someone on heart surgery. While they may both be doctors, they require total different competencies and skills. You’ve got to be equipped to effectively diagnose if you expect to have an impact. And that will get you half the way home. Many of us were promoted from a good sales performer to manager, but that doesn’t really make us great managers, does it? It’s hard to develop and lead people, and it requires that we focus and slowly bring our reps along, one competency and one or two skills at a time. In order to do this, you have to equip the reps with personal developmental activities that tie to their goals and objectives and hold them accountable to trying to get better. In the end, our excuses are very real and often very valid. The good thing is that they don’t have to be excuses forever. If you will embrace the truth about coaching and take action, you and your organization can reduce the excuse and begin to experience the results that everyone keeps talking about in all these sales articles. You can become a CatalystTM.